This week's Spotlight Property is ForLiving's Riversleigh developement. Offering a limited number of two bedroom properties availble through Shared Ownership. We offer a number of different options to help you purchase or rent a home that is affordable to you. Did you know know that the monthly costs of buying a home through Shared Ownership are usually lower than buying outright or renting the same home privately? The Help to Buy Buyer's Guide contains detailed information about the buying process and repayment of the equity loan. Check out the different Help to Buy schemes available and see if you qualify. 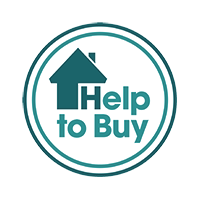 Apply online for Help to Buy or Shared Ownership. Information for Developers, Solicitors and Financial Advisors. It’s been a busy time at Weavers Way for Seddon Homes, not surprising as every home at Weavers Way is eligible for the government-backed Help to Buy scheme! We value your feedback and would appreciate it if those of you have recently completed a purchase using an Equity Loan could take the time to complete this survey.